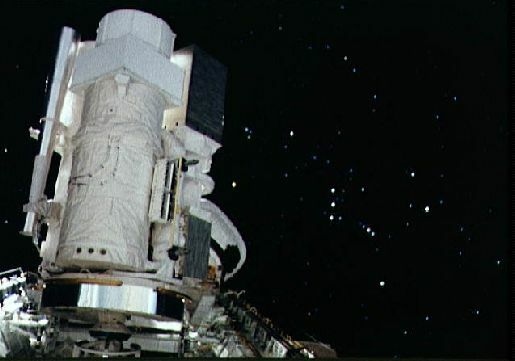 Explanation: In December of 1990, the Space Shuttle Columbia carried an array of astronomical telescopes high above the Earth's obscuring atmosphere to observe the Universe at ultraviolet and x-ray wavelengths. The telescopes, known by the acronyms UIT, HUT, WUPPE, and BBXRT, are seen here in Columbia's payload bay against a spectacular view of the constellation Orion. 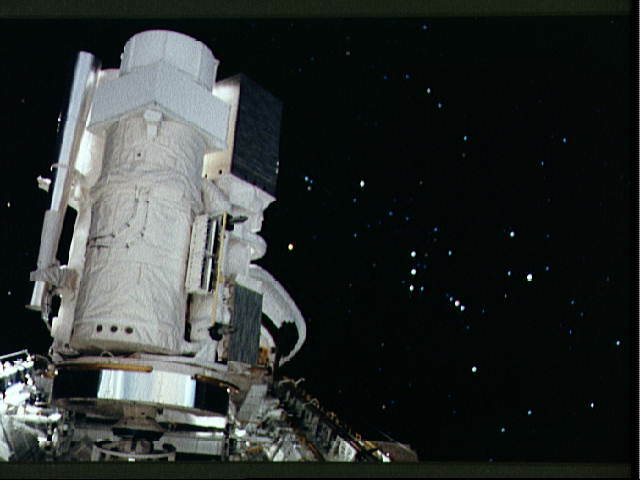 The ultraviolet telescopes were mounted on a common structure - HUT is visible in this view along with a star tracker (the silver cone at the left). The mission studied solar system, galactic, and extra-galactic sources.